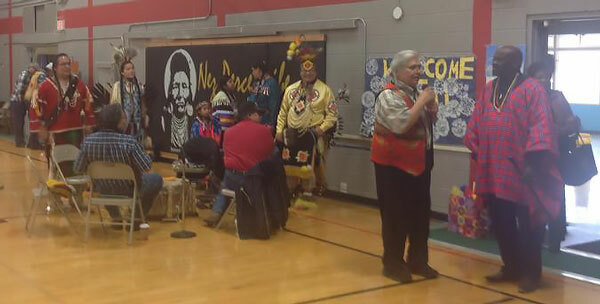 Recently, a special cross-cultural event took place at the Nez Perce Pinewaus Community Center. Colorful Maasai warriors met the Nez Perce in a cultural exchange. Both cultures were at full display, which included dancing, art work, and of course food! True to Native tradition, the guests were welcomed by Nez Perce dancers with a Grand Entry. They in turn responded in their own way of honoring their hosts. The Maasai group called “Friends of Sironka” consisted of 12 dancers including their leader. The warrior dancers from Kenya were impressive in their traditional clothing, weaponry, and jewelry. They invited several people from the audience to jump with them in their unique style and to participate in a skit representing a Maasai wedding party. Drums, made by Nez Perce Youth during culture camp were set up for display. 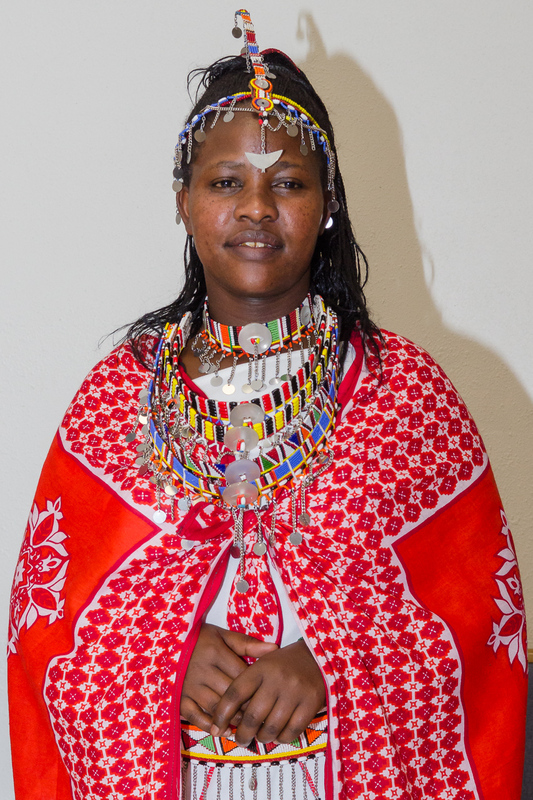 The Maasai also presented their bead work and offered it for sale. Income derived from the sale helps pay for their travel expenses and allows them to send funds to their families in Kenya. No significant event can go by without food–so the Chief Joseph Warriors Committee fed the Maasai a delicious meal of buffalo roast, scalloped potatoes, desert, and cake. Thanks to another local family, the Maasai also got to taste traditional Nez Perce roots and huckleberries. After their welcome and performance in Lapwai, the group made their way to Kamiah, Idaho where they enjoyed more food and a little down time, which was passed by spirited talk and by singing one of their songs. They also learned something about the history of the Nimiipuu, which lead them to observe many similarities in the way both tribes experiences the effects of colonialism. 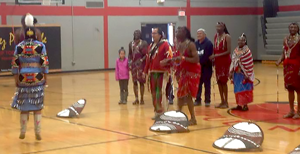 The next day, Sunday morning, the Maasai shared inspiring songs and dances at the two Nez Perce churches in Kamiah, dressed in their cultural beaded clothes. 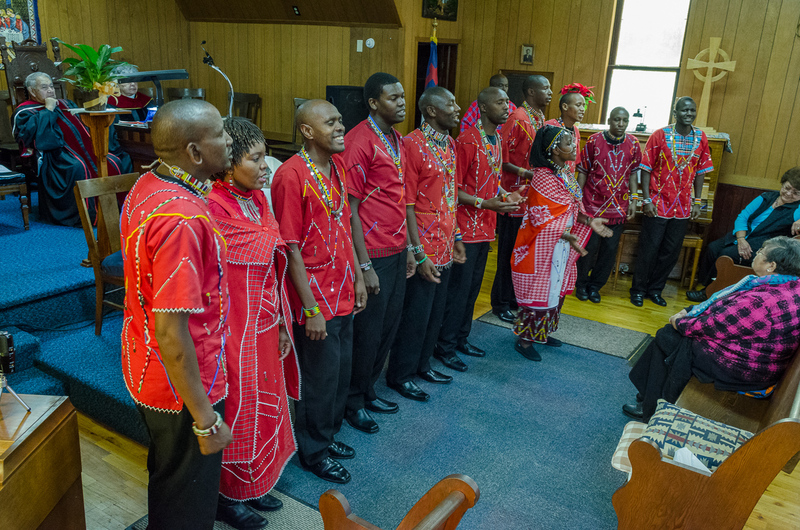 (Listen to “Jonah” and “My God, My God”) Members of the group also shared how Christmas is celebrated in Kenya. 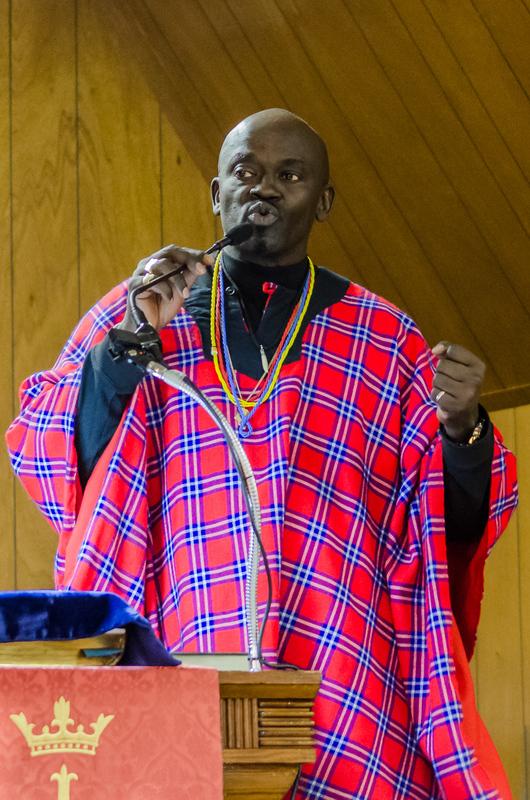 Pastor Emmanuel, a member of the team prayed a prayer of blessing over the people in his native language. Cultural exchanges like this one allow us to note both differences and similarities in our cultures. Sironka wisely noted that where cultural differences exit, we celebrate them and learn from each other. It was a special blessing to observe how well the Maasai have integrated their culture with their faith in Jesus Christ. It is an inspiration for Indigenous people, who were often forced to put away and forget their culture when they became followers of Jesus. Biblical Christianity is never found apart from a culture. It is always part of a culture. The Christianity of the New Testament was a part of the Greco-Roman world of the 1st century. There is no such thing as plain Christianity. Christianity always expresses itself through a culture. It is unique in that it can be expressed equally well in any culture.